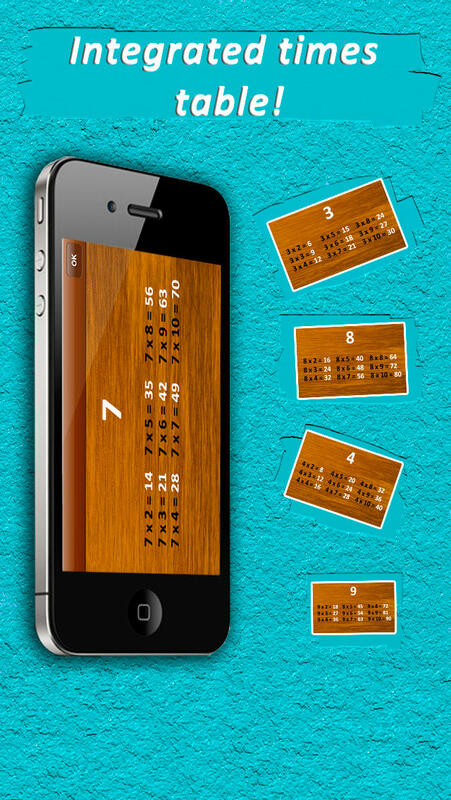 2x2-4 by Aplemakh Bros is a simple app aimed at improving two kinds of arithmetic operations: multiplication and division. 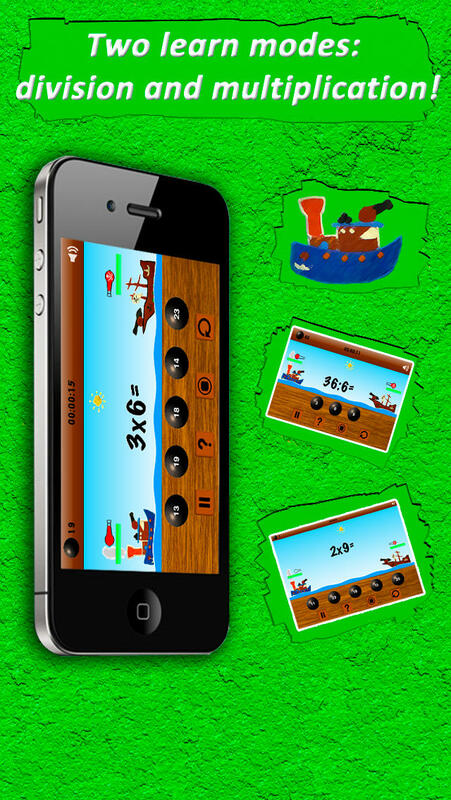 With built-in multiplication tables and a maths game similar to pirate ship battle games, the app will for sure prove a hit with the kids. Games can be personalized and set to focus only on a certain range of derived equations and this is helpful if you identify what the areas are where your child needs a little bit more practice. The app received a 4 star EAS Certification, and what’s more educational institutions can download it at a discounted rate. The idea of the game is pretty clever: pressured by time and the pirate vessel, with your correct answers, you have to be the first to charge the canon and fire at the pirate ship to win the game. Each game is saved so you can see how you are improving, how fast you completed the level and your score. The sounds and the graphics are not the most sophisticated we’ve seen but we think it will still get kids interested – who can resist a pirate game? We tried the app on both the iPhone and iPad and we prefer the last one because the design works better on a larger screen. Both types of answers are working well but our personal choice would be to use the figures mainly because it will be much quicker to select the answer if you know it. The three levels of complexity are affecting only the speed of shooting at a pirate. This might be a problem for kids who are reacting slowly and will not press the right numbers in time, but, in general, most of the children will get used to the speed of the games. The app is secure and has no in-app purchases or advertising and children can play it by themselves. If they don’t know the answer they can press on the question mark for the right solutions. If children will take advantage of the clue button they will still win but they will not get any points for it. This is a good system because parents can then check under ‘History’ if the games were played with or without help. The only critique we have is that children can easily delete the history of their games. We believe this should be allowed only for parents or teachers. Overall we were impressed with this educational app and we think it is a good training tool for practising math. Being able to practice addition and subtraction would be a great addition to the app, but for $2.99 we still think it’s worth it for its educational value. 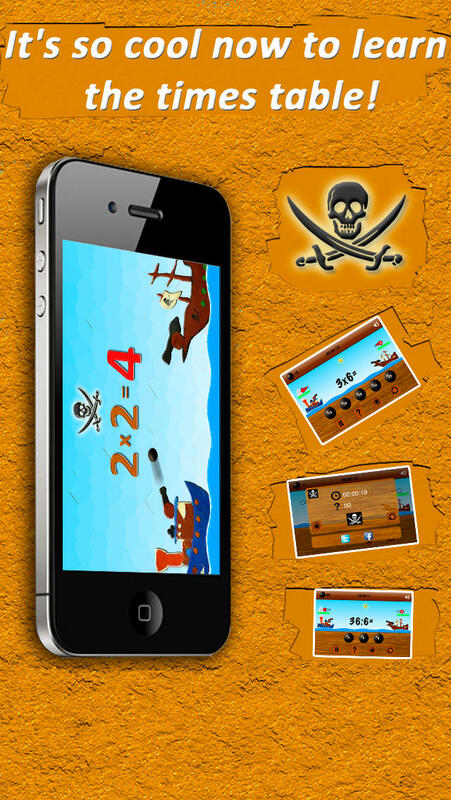 If your kids like pirates, 2x2-4 by Aplemakh Bros is the app for them. Obviously this is a boring way, which went out of date. First of all it requires parents’ patience: it is difficult to test the own child for knowledge of the table several times a day. Sometimes there is simply not time for this. It was easy for me to find the decision of the problem- to write a trainer, which will make the learning of the table more interesting for a child. The set of options will be the cannon balls. The number of correct answers will be a shot at a pirate. If you think for a long time, then the pirate shoots at you. Apparently the phrases like ”Dad, today I shot a pirate at a complicates level" are better than dull phrases “Today I learned the multiplication table till 5”.